When thinking about the Chinese language, it is essential to know that there are many different dialects and forms. Primarily, this language categorizes itself into five main groups with over 150 individual branches. 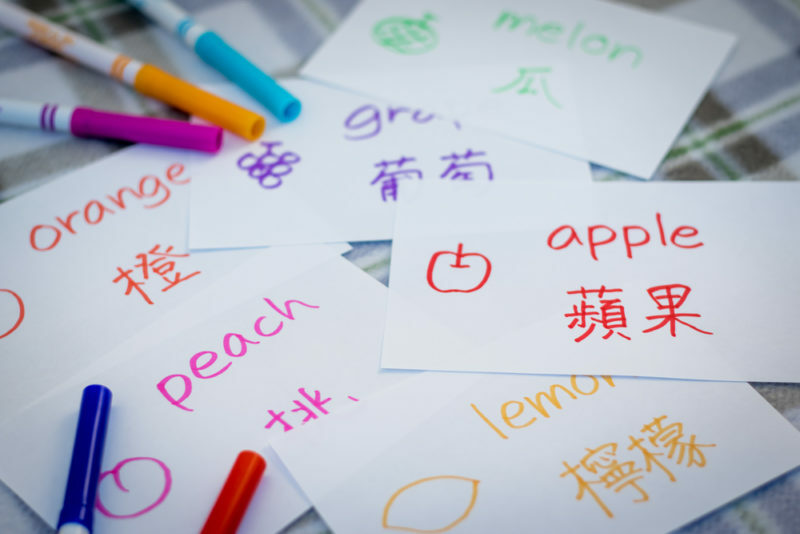 To make the word more universal, individuals decided to have a standard known as Mandarin Chinese. While this change helped to solve the dilemma of which version of the language people should learn, there is another aspect that catches several people off guard. This aspect is that there are two types of Chinese characters known as Traditional and Simplified. There are two main differences between these styles, and one is that Traditional Chinese was used before the second half of the 20th century, while Simplified Chinese was next. The next aspect in which they are different is shown right in the name, which is that the Simplified Chinese is more fundamental than the original. The decision on which style to learn can depend on some factors, though the location of where you are trying to go or live tends to be essential. The area is vital because Traditional characters are in places like Taiwan Hong Kong and Chinese communities that are overseas, while Simplified characters are put to use worldwide. Regardless of which one that you decide to use, the best way to learn Chinese characters is with practice, although there are some techniques that you can incorporate to make the learning process easier. Whether you’re trying to learn the Alphabet or Chinese characters, one aspect that remains constant across the board is that you have to learn the structure or process of these systems. The alphabet is based entirely off the sound, while Chinese characters were through meaning and tone. The process from beginning to end in Chinese starts with the component or radical, then the character, and finally the word. When trying to learn Chinese characters, a big mistake that individuals often try to do and can discourage learners is to memorize these characters one by one or through isolation. This method is hard to do and makes the process of learning difficult because there are more than 40000 characters. While this may seem intimidating, what individuals don’t know is the fact that these 40,000 characters are based off a little over 200 components. When considering this information, it is clear that it is easier to learn by breaking down the characters and first acquiring knowledge about primary radicals. Once you have these fundamentals down pat, you will start to realize that about half of these components are for everyday literacy and Chinese characters will no longer look strange to you. The next step after learning the necessary radicals is to figure out how to combine them to make different Chinese characters. Primarily, there are two ways of connecting radicals to create characters; one way is just through meaning while the other uses both clues on how the character is pronounced as well as its purpose. The style that uses just meaning, these characters tend to be easier to learn because they are easier to visualize. Sadly, this style of combining radicals only accounts for a measly 5% of Chinese characters. The other 95% is based on the second style and tends to focus on more abstract topics that are harder to picture in mind. The second style also incorporates several different aspects such as tone markers which help learners with pronunciation. Tone markers identify themselves as the tiny lines above Chinese words such as dao. When trying to turn this knowledge into something that comes to us like second nature there are several ways to fulfill this task. The Chinese approach is rote memorization which is to write out characters an uncountable amount of times until it becomes muscle memory and while this is effective, this method not only takes a long time but is wearisome. To speed up the process as well as make it entertaining, learners can incorporate various techniques such as using mnemonic techniques. By using meaning and pronunciation alongside an individual’s sense of imagery, mnemonics will give learners the opportunity or ability to jump over mundane techniques like rote memorization and tie their knowledge to memory with another method known as spatial repetition. Spatial repetition develops the unconscious mind which on the basis of how strong the connection is not the speed. Spatial redundancy can be done through using applications or by doing it yourself. For example, one will retain more information by studying twice while taking a break in between, then studying straight through. Thus, through the process of Spatial repetition, individuals will be able, and the concept of forgetting is less likely to happen. After learning, one way to see if you have mastered the concept is to test yourself. There are several ways to do this such as to recall character with force. To try this, all you have to do is take out the paper as well as a pencil and write down as many characters as possible without help. Another way of testing yourself is to communicate with other individuals using a combination of Chinese characters. Talking is now easier than ever due to the development of technology, and because of this, there is always a way to put your newfound knowledge to the test. One of the best ways of testing your knowledge of Chinese characteristics is to use it in real life situations. Using real-life situations to your advantage can be done by merely visiting popular Chinese social gatherings. If you are not able to put yourself in these type of conditions, then one way resolve this issue is to watch Chinese movies with subtitles. By incorporating all these techniques with practice, individuals will be able to learn Chinese characters effectively, and another way to enhance the success rate is to make sure that you are changing your study location. Experts have shown that just changing different factors in your environment such as listening to music or even just being in a more colorful room can significantly improve the rate of learning. Just like with many concepts that individuals are trying to learn, the best way to learn Chinese characters is practice. When individuals practice, they come closer to perfecting whatever craft they are trying to learn.